Deciding on your baking businesses brand and logo can be one of the most painstaking tasks of setting up your business. There are so many options and ideas it can be hard to even know where to start. Not to mention how indecisive you become when making decisions for yourself...or maybe that's just me! I had known for years that I would name my home baking business Ever So Sweet, but when it came to designing the logo, business cards and website it took forever! If you're stuck in that same quandary then I hope I can inspire you with some of my very favourite bakery logos and branding styles. 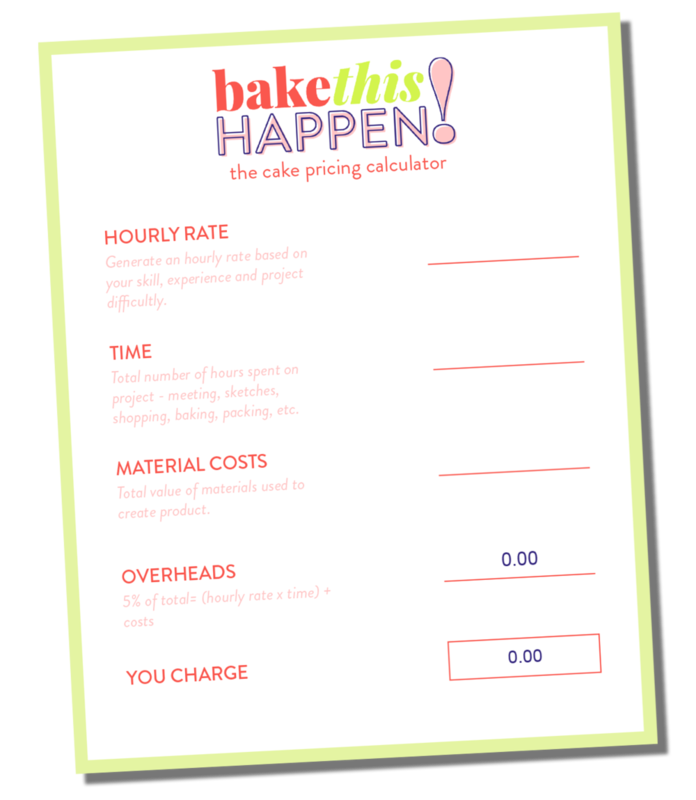 There is also a free download which includes some simple bakery themed icons to use in your own logo designs, on your website or to integrate into stationary and business cards - you've got a whisk, wooden spoon, cake on a stand and a cupcake. I've included the transparent background .PNG files as well as Photoshop .PSD files, so you are free to use them wherever you want! 1. Sprinkles Cupcakes - This is a very well known cupcakery from the USA and has been around since the very beginning of the cupcake trend. They have a very simple handwritten logo but their branding concept, of the coloured dots on each cake, is memorable and eye-catching - which is just what you want from a brand! 2. Crumbs and Doilies - If you don't follow this bakery on Instagram then you need to get involved! Their account is a perfectly curated collection of product images that will have your mouth watering. The consistency of the style and quality really helps to emphasise their brand. It's another simple logo, but simple is always best, and I just LOVE the sprinkles background image of their website! 3. Sift - I encourage you to visit this post which shows how every aspect of their business adheres to their brand image. The colours, patterns and styles used across the board are uniform and cleanly designed. You'll notice there is a lot of pastels in cake and cupcake makers logos. These are colours that are light and bright, pretty and fun - perfectly capturing everything a cupcake is! 4. Primrose Bakery - This logo and brand is very different from the first three in that is is a hand-drawn style, yet it still appears modern and fun. The loose, sketch quality of all of the graphics make the cupcakery seem very approachable and personable, which why is also lends itself perfectly to their range of cookbooks. 5. The Pie Hole - Not only does this LA bakery have a quite brilliant name, it also has a beautiful logo and brand that extends to a product line that includes coffee and mugs! The easily identifiable pie silhouette coupled with an interesting font is subtle and beautiful. 6. - Sweet Petite - A cute name to go with a cute concept! Boxed gift cookies is a great business venture in my opinion. This link is all about the Sweet Petite brand. All throughout the website the imagery used conveys who the product is being aimed at - a modern and fashionable, young women who is stylish, loves pretty things and Pinterest - and this is followed through to the packaging and social media. 7. Cuckoo's Bakery - Adorable Scottish cupcakery based in Edinburgh. The Cuckoo clock/cupcake hybrid logo is too clever not to be included on the list! Shows you can get a little outside the box with your business name and still portray what you're all about in your branding. 8. Cake You Happy - A little bit of shameless self promotion never hurt anyone, did it? I designed this logo for Melanie over at Cake You Happy and I must confess it is one of my favourite designs yet. So colourful and fun! It captures Melanie's target market of mums looking for kids birthday cakes perfectly (if I do say so myself!). Hopefully all of this gorgeous inspiration has filled you with ideas for your own business - whether you are looking to DIY your logo, or employ a designer. If you'd like to chat through any design ideas with me, please get in touch using the links below.